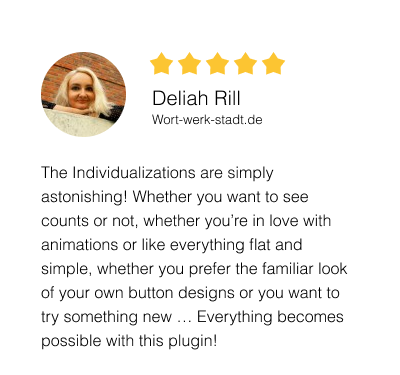 If you like the plugin, tell your friends/followers about it and get 40%(!) of the sales price for every sale you helped to generate. Click on the arrow on the right to see how it works. Above screenshot is only an excerpt. 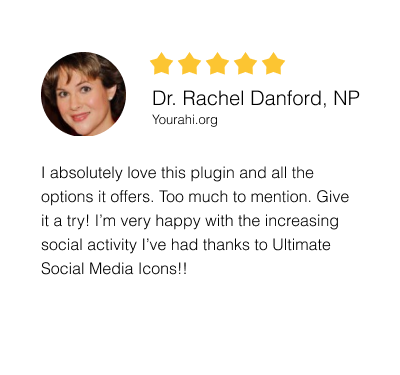 You can select icons for: Facebook, Twitter, Youtube, Google+, Pinterest, Instagram, Snapchat, Email, RSS, Tumblr, LinkedIn, Soundcloud, Houzz, Flickr, WhatsApp/Phone, Skype, Reddit, Vimeo, Yummly, “Share” (allows to share on 200+ other social media platforms) and many more – see the full list. You can also upload custom icons and define separate icons for mobile (e.g. maybe you want to show the Whatsapp icon only on mobile). Other icons have similar functions. 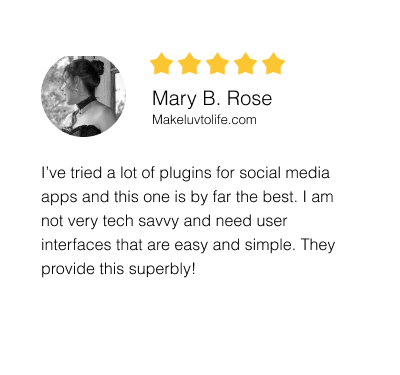 You can also give several functions to your Facebook, Twitter, Google+, Youtube, Pinterest and LinkedIn icons. In that case, users will see a little “pop-up”/tooltip where they can select what they want to do. Under question 3 you can define where the icons should show up. You can make the icons stick to the same place (either scrolling down as the user scrolls down, or not) or pick the “float”-option, which shows a cool effect. You can define the location separately for mobile vs. desktop. Obviously, you can also define the margins the icons should have from top/bottom and left/right. For icons before/after posts, you can either go for the default round/squared design, or switch to a rectangle design which spells out the action the users should do (Follow! Like! Share! etc.). You have various options where exactly to show them, what text it should say before the icons, the font type of the text etc. etc. For all icons, you can also opt to show/not show them on mobile/desktop at all. Or, you can define various exclusion rules on which pages the icons should not be shown (e.g. on post pages, tag pages, category pages, pages which include certain strings in the url etc.). There are 22 standard design styles in total. 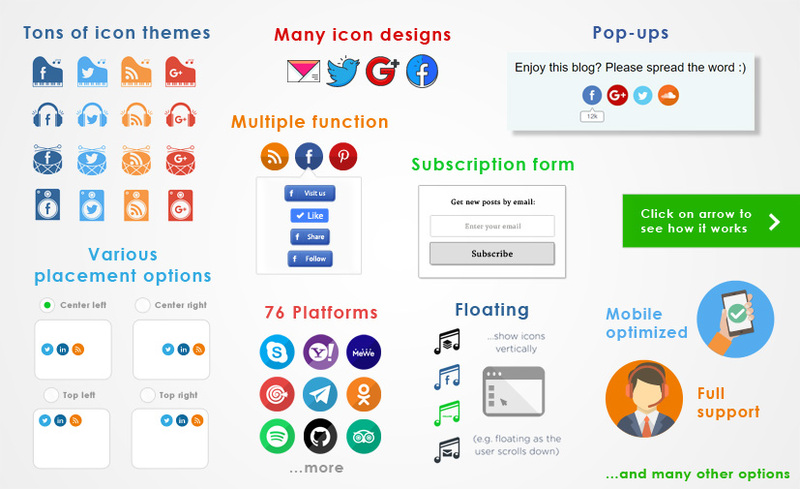 In addition, we’re currently building up a database of themed design styles. Get a taste of it by clicking here. Apart from picking the design style you can also give your icons some cool effects, like fade-in or scaling effects. Also, you can animate the icons by making them shuffle automatically upon loading of your site etc. Some icons allow a choice which counts you want to show. For example, for Facebook you can show the number of likes on your site, or the number of likes on your Facebook page, or enter the counts manually. 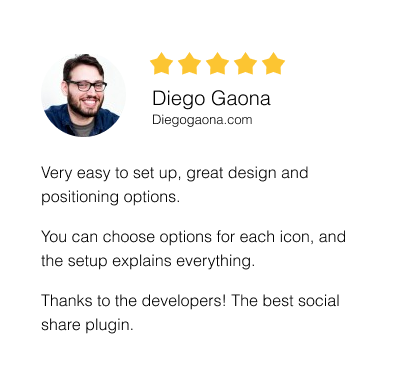 You can define the order of your icons, as well as their size & spacing between them, and alignments, e.g. horizontally or vertically, left/right/centered. For mobile you can make separate selections. 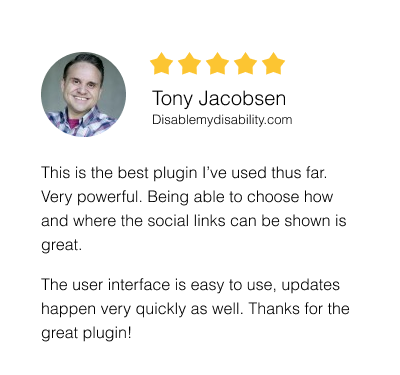 You can also pick the language of the buttons where text is displayed (available for Facebook, Twitter, Google+ and Follow-icons). Other options include mouse-over texts, new window or not (if user clicks on an icon) and the possibility to disable auto-scaling on mobile. Apart from defining the pop-up design, you can also configure on which pages the pop-up should be shown, and how often (e.g. when user loads page, or scrolls to the bottom of a page). 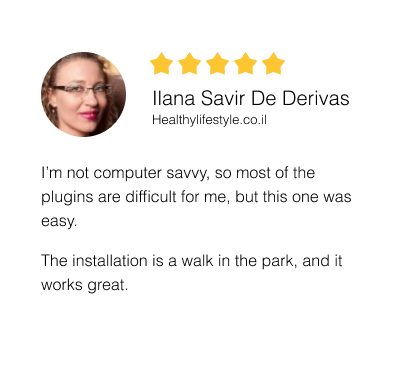 You can also define to only show the pop-up once to every visitor, or once every X days. This allows users to subscribe to your site, so that they receive new posts automatically into their inbox. The service is powered by SpecificFeeds.com. So that’s it! 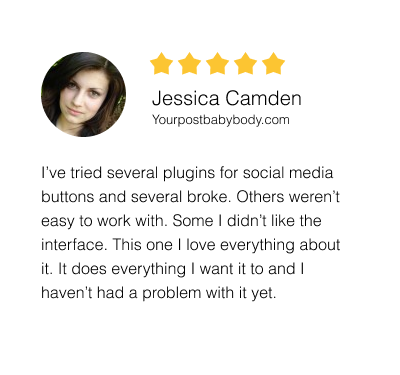 We hope this guide gave you a good overview of what the plugin can do for you. 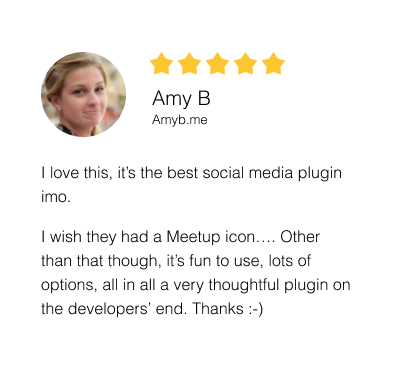 We will continue to make the plugin better and better, and all users are eligible for free updates up to one year. 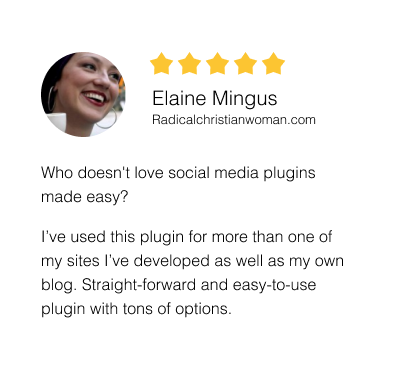 and has the best rating of all social media plugins by far. Still have questions? See the FAQ or ask us.